Goddard manages the Swift mission in collaboration with Pennsylvania State University in University Park, the Los Alamos National Laboratory in New Mexico and Orbital Sciences Corp. in Dulles, Virginia. 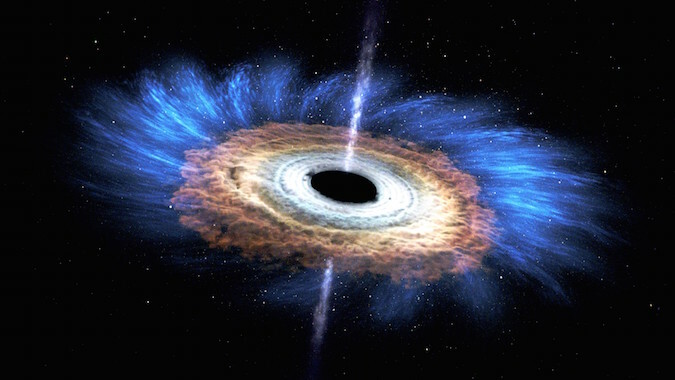 Other partners include the University of Leicester and Mullard Space Science Laboratory in the United Kingdom, Brera Observatory and the Italian Space Agency in Italy, with additional collaborators in Germany and Japan. 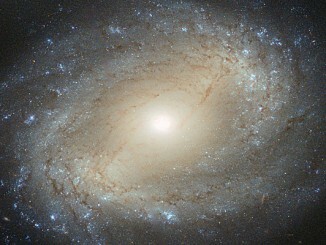 NGC 4639 is a beautiful example of a type of galaxy known as a barred spiral. It lies over 70 million light-years away in the constellation of Virgo and is one of about 1500 galaxies that make up the Virgo Cluster. 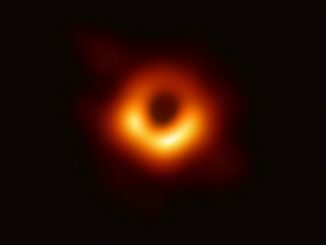 But NGC 4639 also conceals a dark secret in its core — a massive black hole that is consuming the surrounding gas and known as an active galactic nucleus (AGN). 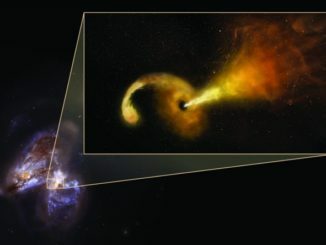 For the first time, astronomers have directly witnessed the aftermath of a black hole consuming a nearby star, imaging the formation and expansion of a high-speed jet of material ejected in the maelstrom.